Amsonia There are 2 products. Amsonia 'Blue Ice' (Amsonie) Apocynaceae New hybrid compact port. 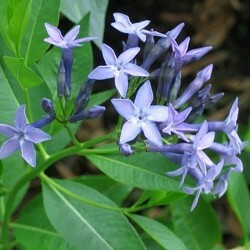 Superb and abundant flowering panicles of small blue star-shaped flowers supported. Deciduous all golden in autumn. 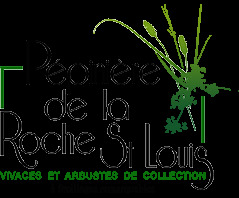 Good flowers for bouquets. Easy to grow in clay soil, heavy, dry fees. Amsonia ciliata (Amsonie cilié) Apocynaceae Rare and little known species d'amsonie foliage (void) very end, tinting d'orange and gold in autumn. 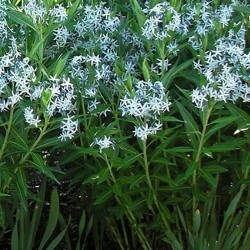 Graceful flowering in clusters of small blue star-shaped flowers. Slow growth but forms pretty tufts air over the years. Easy to grow in dry soil drainage fees.